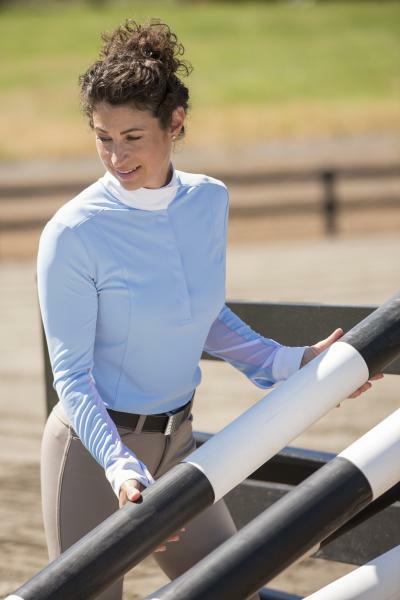 FITS combines soft Cooltec or Silk Touch fabric with powermesh under the sleeves for superb ventilation. 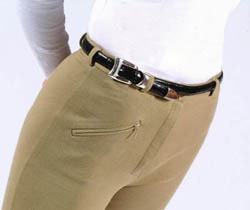 "Shade" Fabrics tailored to the equestrian athlete with Lycra for stretch and comfort. 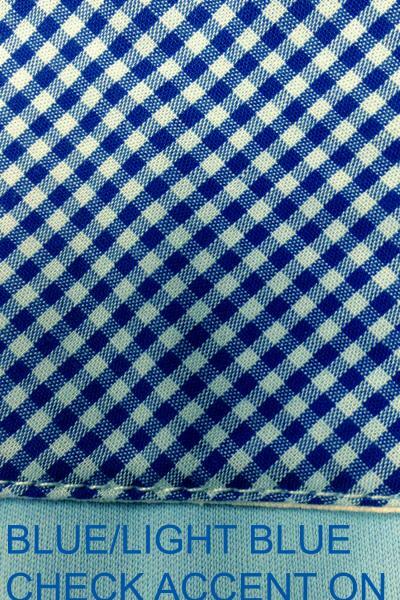 They are anti-micrbial, odor-resistant, pill-resistant and have excellent UV protection characteristics. 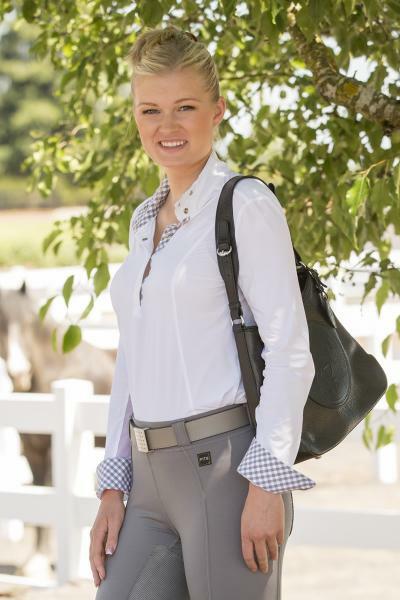 Classic and correct under your jacket yet feminine and stylish with flattering seaming and lovely new prints at the collar and cuff.